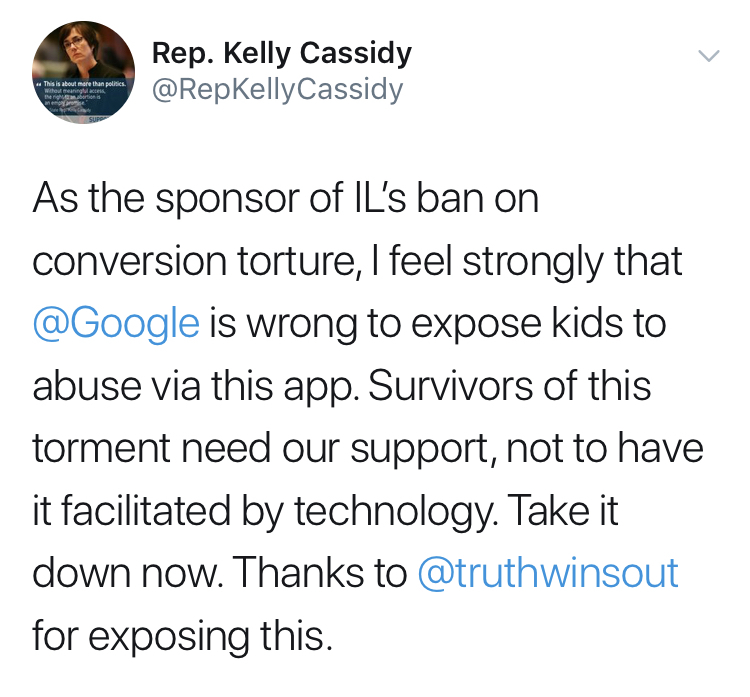 Rep. Cassidy joins a growing list of lawmakers from across the country that have condemned Google for hosting an app that fosters hate and discrimination. 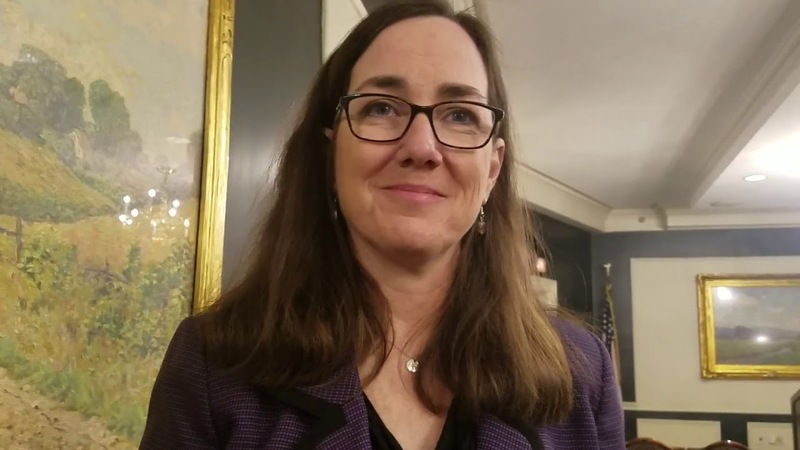 New York State Sen. Brad Hoylman, Pennsylvania Rep. Brian Sims and Milford, Pennsylvania Mayor Sean Strub have also spoken out. Truth Wins Out’s campaign has received high-profile media coverage and our Change.org petition has gathered 139,000 signatures and counting. Former “ex-gay” leaders have also demanded that Google dump the app, with op-eds in The Advocate, The Orlando Sentinel and the San Jose Mercury News. Yesterday, TWO released a video by Jon Bozeman, a survivor of “ex-gay” conversion therapy, who slammed Google for hosting the app.